Regardless of your dating experiences in high school, dating in college can be significantly different. College dating has its unique set of unspoken rules as well as some exciting perks and risky pitfalls. 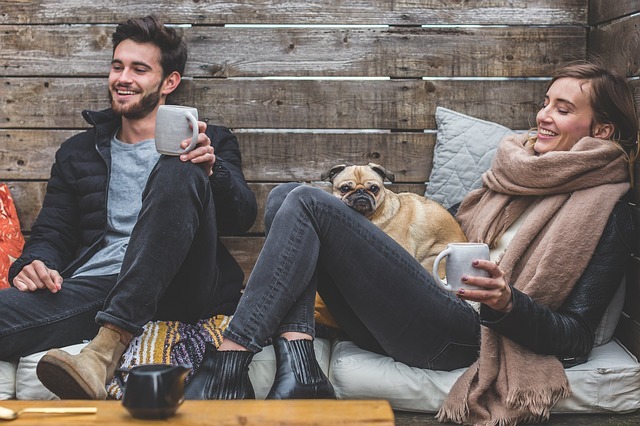 After you give yourself time to adjust to college life and get settled into your classes, you may be ready to jump right into the dating scene. As amazing as dating in college can be, keep in mind that it can add drama to your life. Very few college students will make it through to graduation day without dating casually or seriously, so keep these universal truths about college dating in mind. Casual dating and occasional hookups are great for students with busy schedules. When you have a casual thing going on, you do not have to find regular time in your busy schedule to spend time with someone. However, you do need to make it clear that you only want a casual relationship. If you fail to clarify this, you could be in store for major drama. Hookups have a generally negative connotation, but casual relationships can be great in many ways. For example, casual dating and fun sexual encounters allow you to blow off steam and relax. College can be stressful, and this may be just what you need to unwind. However, casual dating can be risky, so you need to protect yourself against STDs. One of the most important unspoken rules about dating in college is to stay away from hookups with people in your dorm. This type of dating is called “floorcest,” and it should be avoided because it can make your life awkward and stressful. Be aware of the possibility that one of the guys/girls who you end up with may actually be someone who you fall for. Even when you do not intend to have serious feelings for someone, there may be incredible chemistry or a huge spark that hits you unexpectedly. You know the type – nothing you do seems good enough, and you go the extra mile just to make them happy, even though they often don’t deserve it. Dating someone like this can thin your wallet because of the need to go on nice dates. College can be expensive, and your finances may be strapped until you graduate and land a great job. One benefit of seeing someone casually is – they typically do not involve any type of expensive dates. A person is hard to maintain if she demands constant attention. Ho or she may seem great at first, but once you are involved, you discover that they are pure drama. If your SO doesn’t let you study when you want, cut off ties immediately. Dramatic individuals and bad relationships can be detrimental because of the stress and anxiety they cause. These types of relationships are toxic and could interfere with your collegiate success. A girlfriend/boyfriend should be someone who you have a legitimate, strong connection with. This is someone who you trust completely and who you can depend on. Living in a dorm and working on a cruise ship have one thing in common – they alter your view of privacy. Just as you have a very real likelihood of walking in on other people in the middle of a heated session, there is also a good chance that you will be caught in the act on more than one occasion. Try to get along with your roommates, they can help you in critical moments. Let’s say you have more than one casual thing going on at a time. When you have that “it’s complicated” relationship status, you need to fill your roommate in on the details. This will help you avoid the unnecessary awkward moments later on. If it happens that you and your roommate are worlds apart, you can always try to talk things through, maybe you can switch rooms to the mutual satisfaction. Meeting college guys or girls it is not necessarily a solo activity. You will probably hit bars and parties with your friends. This gives you and your roommate a chance to hang out and have fun until you meet someone. You don’t go to college to get a degree in love, but with the number of people you will meet, there is an increased chance that you’ll find someone you’ll like more than you want. Before you jump into anything serious, give yourself time get used to college life and living on your own. College is a time to enjoy yourself, but it also is a time to focus on your future. While a great steady relationship can benefit you tremendously in many ways, you should not feel pressured to go out and find a girlfriend. Your college experience may be something entirely new to you in almost every way, so you understandably have some adjustments to make.